Artwork by Kenn Brown of Mondolithic Studios, for 'Metal Dragon Year' by Chris Roberson, a story set in his Celestial Empire. More details soon. Issue 213, the last of Interzone's 25th year of publication, will be out in November. Last edited by Andy on Mon Jan 07, 2008 10:23 am, edited 1 time in total. That's a seriously awesome cover. Tell me about it. I'm already salivating over that issue. Reminded me to re-up the subscription. Yo. Just to echo the early consensus, awesome cover! Interzone 213 is published on the 8th November and will be in the post to subscribers by then. The cover illustration is inspired by Chris Roberson's 'Metal Dragon Year', a story in his Celestial Empire sequence. Also in this issue is Aliette de Bodard's 'The Lost Xuyan Bride' (illustrated by Paul Drummond). These two stories share, coincidentally, a similar background: a world where China and the Aztecs are the dominant powers, and where the Spanish either didn’t discover America or were defeated by the Aztecs. Rather than hide the similarity we decided to run both in the same issue, and invited Chris and Aliette to describe how they imagined and then developed their alternate worlds. Other stories in the issue are 'Molly and the Red Hat' by Benjamin Rosenbaum, 'Odin's Spear' by Steve Bein (illustrated by Paul Drummond), 'The Men in the Attic' by John Phillip Olsen (illustrated by David Gentry), and 'The Best of Your Life' by Jason Stoddard (illustrated by Warwick Fraser-Coombe, see below). 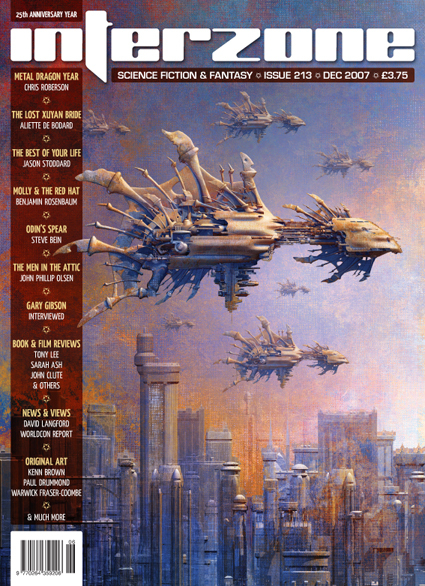 We have the usual Interzone features, including book reviews by John Clute and others, DVD reviews by Tony Lee, David Langford's Ansible Link, and more. 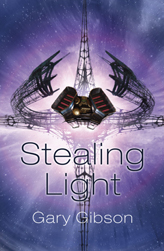 Plus a special WorldCon report from our man in Japan John Paul Catton (JP sends a regular column from Japan to Interzone's sister magazine Black Static, by the way), and Andy Hedgecock interviews Gary Gibson about his work including his latest novel Stealing Light. 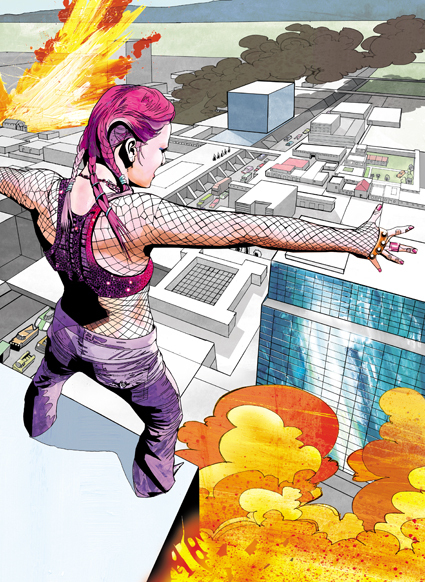 Pretty impressive illustration, BTW--very dramatically attractive. Really nice cover (unlike that of issue # 212). Glad to see a Roberson story on the Celestial Empire. Enjoyed the one that was published in Asimov's in the july issue ("The Earth is small and the Sky is Large"). I resubscribed with issue 210, after a few years parenthesis (let my sub lapse due to erractic publishing schedule just prior to TTA's relaunch). A few people praised the 212 cover at Novacon but others wanted more rockets. Picked up the issue at Easons Belfast. Another stunning looking number. Will have a good read at the weekend. Just got my copy in the post and there's lots of good stuff to distract me from my work. Excellent. My copy arrived this morning. Got to echo everyone on the cover art, it's breathtaking. Are we looking at a permanent switch to black-and-white inside? Arrived in Sussex this morning - looking forward to it!